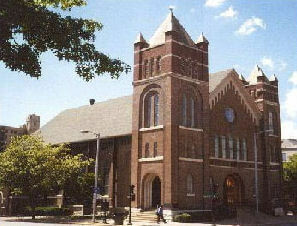 Part of our unique service, we'll coordinate with your local church or locate a local church or gathering place in your area, enabling you to take advantage of it's beauty, spacious facility and easy to find location for your family and friends. "Well bring our funeral home to your neighborhood." 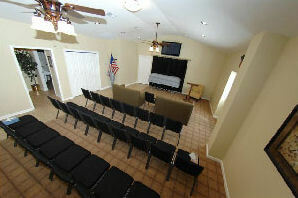 We also have a private, quaint chapel at our location available if your so choose. When your loved one has chosen to be buried, the ceremonies you design usually revolve around the casket being present. Traditions can be followed, where there is a viewing, and then a funeral service followed by the committal service in the cemetery. Many families today are choosing cremation. You need to know that we own our own private, on-premise crematory called the Bluegrass Crematory. Because of our significant investment, you are ensured not only the highest standards of care, comfort and accountability, but also the peace-of-mind that your loved ones cremation will be completed quicker than by any other cremation providers because we control all aspects of the entire "Worry-Free" Cremation process. There are many types of cremation service provided, from a basic cremation to a complete visitation and service with cremation following. If you have questions about cremation or prices, visit the pricing tab located at the top of the screen or do not hesitate to call or stop by Coffman Funeral Home & Crematory and speak with a cremation expert. Pre-planning your final arrangements is simply a matter of taking the time to write down your wishes. You will be more relaxed knowing your plans are made. Relieve your family members of making very personal decisions at the time of need. Protect you and your family from inflation. Your expenses will be covered when you need them to be. That is guaranteed. Let your family know your wishes. This is not life insurance, so there is not health questionnaire or physical exam required. Absolutely no one will be turned down, and there is no waiting for return documents. When the plan is complete, it is put in our file. No, you can choose to record your wishes and leave it for your family to pay for your desired services at the time of your passing. Or, you can protect you and your family from inflation, by pre-funding your plan. This ensures your expenses will be covered when you need them to be. When you choose to pre-fund your final arrangements, your money is put in a state-approved trust account until required. After your funeral is paid in full, our price is guaranteed and you will never have to pay more for the items you have already paid for. If you pre-plan with Coffman Funeral Home & Crematory, your plan will go where you go. No matter where you reside at the time of your passing , no matter what funeral home you choose to work with, your plan will be transferrable to any funeral home in the United States. Likewise, Coffman Funeral Home & Crematory welcomes arrangements that have been made elsewhere. Coffman Funeral Home & Crematory offers a small display of monuments, but 7 out of 10 times, families do not like something about a particular monument so one has to be ordered. We offer all types of memoriams ; Monuments, Benches, VA Markers, Bronze Markers, Mausoleums and Etchings. A memorial will be a story left to tell the story of life lived, let's tell the story together. In high school Josh worked for a funeral home in Florida and began his journey in the preparation room. Many times he would have a case where the deceased had suffered severe trauma and he would hear the funeral director say to the family “there will be a closed casket and to just remember the good times.” Since then, Josh has become a licensed funeral director and embalmer, but those words have haunted him. He knew there had to be a solution so families could say their goodbyes. In 2002 Josh found a school that specializes in these procedures and application of airbrush technology. After graduation from this trauma school he marketed himself to funeral homes around the state and has been very successful fulfilling this special need. 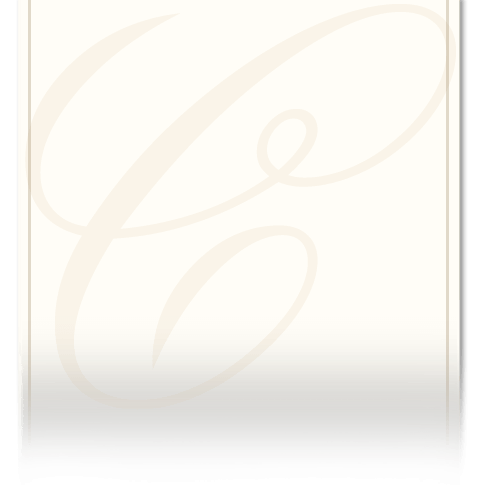 Coffman Funeral Home & Crematory takes great pride in the funeral services they can provide. Josh has spent a large portion of time in continuing education to provide the very best level of service for families that are served by Coffman. If you are seeking a funeral home that provides exceptional service, compassion and someone who takes great pride in the appearance of your loved one, Coffman Funeral Home & Crematory is the answer.